Power Measurement Ltd. Ethernet port option is available for the 7330 ION three-phase power meter. With the option, the meter can be connected to an existing LAN/WAN or the Internet without external interface software. 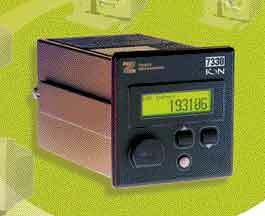 Suited for large industrial plants and institutional campuses, the meter gathers billing, consumption, demand and power quality information. Using the built-in 10Base-T Ethernet port, users can better monitor and manage their electrical system. The Pegasys power monitoring software allows users to automatically upload and share real-time and logged data across multiple workstations over a secure corporate network. An EtherGate gateway capability built into the meter enables the software users to communicate over the network with any company or Modbus-compatible device attached on an RS-485 loop to the same meter. , 2195 Keating Cross Road, Saanichton, BC, Canada V8M 2A5. Phone: 250-652-7100; Fax: 250-652-0411.